South Wood County Humane Society Welcomes You!! 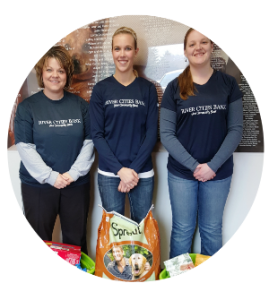 We are a private non-profit animal welfare organization located in Wisconsin Rapids, WI. South Wood County Humane Society provided warm and safe shelter to over 1,000 stray and unwanted dogs, cats and small animals. Most required vaccinations, many needed behavioral rehabilitation and some, lifesaving medical treatment. Every day our shelter provides care to 200 dogs, cats and small animals. Your continued support is needed and appreciated as we strive to continue to improve the welfare of our community’s pets.